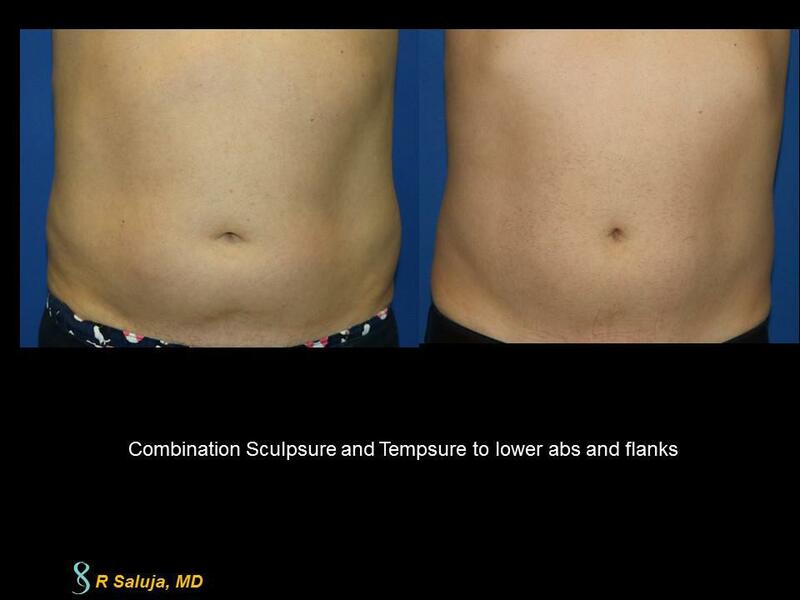 Sculpsure Laser is the newest laser in minimally invasive body contouring. So what is it? Sculpsure laser uses a 1060 nm diode laser wavelength that is preferentially absorbed by the fat cell, referred to as an adipocyte. Over a 25 minute treatment, the fat cells are targeted and damaged and the bod begins to clear away the cells over the next 6-12 weeks. 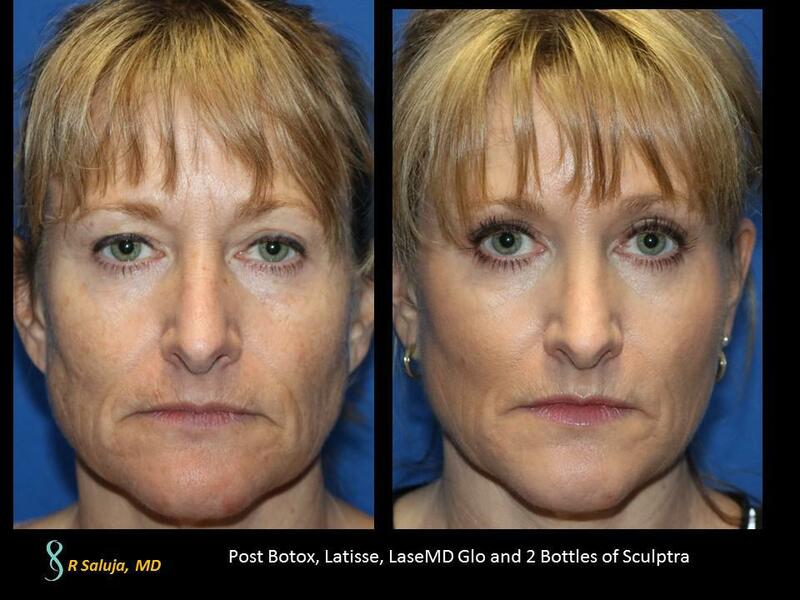 For optimal results, the treatment consists of two treatments separated by 8-10 weeks. We instruct patients to take an extra strength Tylenol (NOT IBUPROFEN), 1 hour prior to arrival. We then take photographs and begin to place the frames on the area to be treated. When the treatment begins, you will feel a cooling effect from the laser sapphire window. Every 30 seconds, you will hear an audible beep and you will begin to feel heat for 20 seconds and then it will dissipate and you will feel cooling. The treatment continues and before you know it, 25 minutes have gone by! I typically begin to increase energy in a slow titration that you will be able to tolerate. We tell patients to massage the area in the morning and the evening for 2-5 minutes just to stimulate blood flow to the area. You will be slightly tender to touch for 1-2 weeks on average but will be able to return to exercising that same day! After 8-10 weeks, we do the area a second time and this adds to the desired visual effect. Non invasive body contouring is finally here and we are excited that fat can be reduced via this method. The gold standard is still liposuction for the greatest reduction, but it also has it’s limitations. It is also important to have enough of the “pinchable” fat, at least one inch, to see the difference as the laser will diminish around 24% of the pinchable fat post 2 treatments. If you visit our photo gallery, you will see some before and after photos of our Sculpsure procedure. It has also won the New Beauty magazine’s New Beauty Award!